Did u see the new Macbook Air it is WOW!!! My next post was going to be about if Mac made the MiLeap how would it be different. I know it would have the mac tax but other than that how would it look. Vivek, as you rightly pointed out, the fully functional HCL laptop is actually close to Rs 30, while the 'low-cost laptop' at Rs 14k is really basic with flash memory (not sure if its over 4GB). 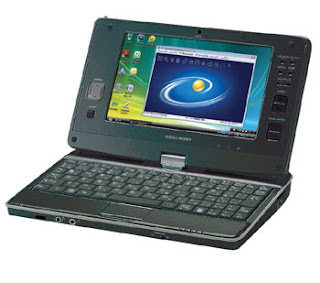 Moreover, the Indian market has had a history of sticking with MS Windows OS, so it will be interesting to see the response to this user friendly Linux - is it also Xandros like in Asus EEE PC? But one thing is sure, there will be newer low cost laptops with better functionality than this one. Its just a matter of 6-12 months. In all - that's great news for the Indian consumer! I am very new to the word flash memory. Am confused whether the mileap x (priced 14k) series will have a hard disk or not? If it will,Any guess's as to what would be the hard disk space? I don't think it will have a hard disk. It will probably have a flash drive something like the OLPC. But I've not got the specs so far so its pure speculation on my part. I bought the x series last week in New Delhi. I paid 16,500 as I had opted for one with a 30 GB hard-drive. The build quality is excellent for the price. And Ubuntu linux (which I used for the first time) is awesome, it reminds me a little bit of both windows xp and Mac OSX. I admit it is a bit slow, but it's more than sufficient for basic internet, mail, multimedia and office work (it comes preinstalled with a lot of equivalent applications). The only thing I am worried about is support as I live in Auckland, but support in India shouldn't be a problem. Cheers.